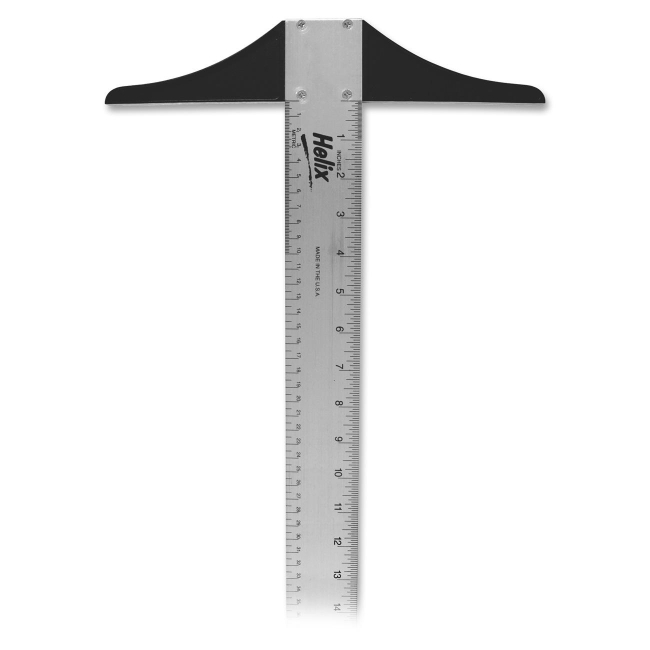 Aluminum T-Square features an aluminum head for better accuracy and durability. 24" (60 cm) ruler on either side offers Imperial (1/16" beyond an inch) and metric (mm) graduations for easy measuring. Use T-Square for drawing or cutting. Hang hole at the opposite end from the head makes the T-Square easy to store and access.